The Human Rights Institutions Association has sent a letter to Amnesty International, Human rights Watch, the Committee against Torture, the UN Special Rapporteur on Torture and other Cruel, Inhuman or Degrading Treatment or Punishment, regarding the torture practices in the prisons of the Palestinian Authority security services in Ramallah. 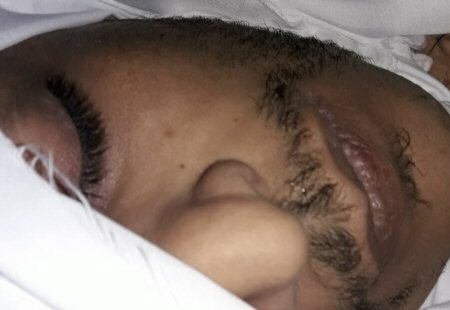 The letter was regarding the murder of 32-year-old Mahmud Rashad al-Hamlawi, from the Gaza Strip — and who has been living in Ramallah for years, in the prisons of the Preventive Security — on March 27, after he had been detained for 14 days, during which he was subjected to many types of torture and inhuman practices. The association clarified that the security services in the West bank, especially the Preventive Security and the General Intelligence, are conducting arbitrary arrests against Palestinian citizens, without legal justification or presenting them to competent judicial authorities. The association considered this crime as shocking and dangerous indicator on the human rights situation in the prisons of the security services in Ramallah, especially after Palestine accession to the Convention against Torture and Other Cruel, Inhuman or Degrading Treatment or Punishment. The association mentioned, according to Days of Palestine, that it has received dozens of complaints regarding torture and arbitrary detention on the background of freedom of expression, stressing the lack of real and serious accountability for the perpetrators of torture crimes and members of the security services who violate the rules and regulations of detention approved by the Palestinian legislation. The association, consisting of six human rights organizations, asked the international bodies to exert pressure on the Palestinian Authority to open a serious and independent investigation into this crime, with the participation of local and international human rights organizations, to hold accountable the suspects and participants in it. The prosecution of Issa Amro, a prominent Palestinian human rights and anti-settlement activist, over a social media post critical of the Palestinian Authority (PA) “is another devastating blow for freedom of expression in Palestine,” Amnesty International said ahead of his first court hearing on March 28. 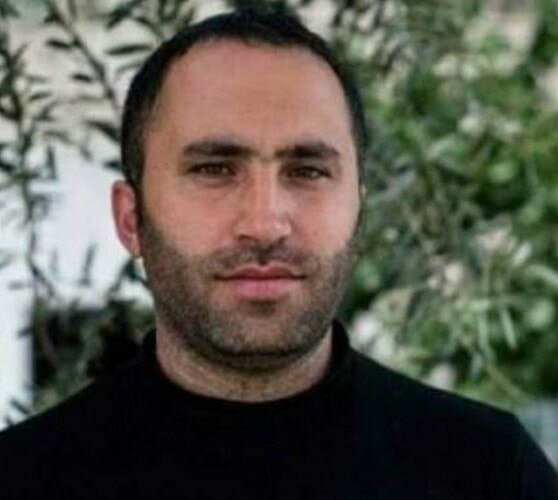 Issa Amro, a founding member of the Youth Against Settlements group, was arrested by Palestinian security forces on September 4, 2017 after criticizing the PA on Facebook for arresting a journalist in al-Khalil who had been critical of de factor president Mahmoud Abbas. “It is disgraceful that Issa Amro is facing a prison term simply for expressing his views promoting human rights online. The Palestinian authorities should drop all charges against him immediately. Criticising an official should never be a crime. If imprisoned, Issa Amro would be a Prisoner of Conscience,” Saleh Higazi, Middle East and North Africa deputy director at Amnesty International, stated. Upon his arrest by the preventative security forces in 2017, Issa Amro was detained for seven days during which he was allegedly tortured by interrogators from the joint security committee, a body from different security forces. He told Amnesty International that he was held in solitary confinement for five days and that he was punched and threatened with death by interrogators. He was then released on a $1,400 bail. He has been charged with disturbing “public order” under Palestine’s draconian Electronic Crimes Law, as well as “causing strife” and “insulting the higher authorities” under the 1960 Jordanian Penal code, which is still enforced in the West Bank. If convicted, he will face up to two years in prison and a fine. When he was released after nearly a week in detention he was told that his case was being frozen as the charges would be dropped and the case closed. However, last month a Palestinian court in al-Khalil reopened his case in an apparent effort to intimidate him into giving up his ongoing work that highlights both Israeli and Palestinian violations. “The Palestinian authorities have a dire track record of harassing and intimidating peaceful critics and human rights activists. The ongoing persecution of Issa Amro is a dire sign that these unlawful trends are being perpetuated,” Higazi said. Amro told Amnesty International that he had received death threats on social media and over the phone from supporters of Fatah, the Palestinian political party in power in the West Bank. He said that he feared for his personal safety and added that Palestinian authorities had also threatened those close to him in order to stop them from cooperating with him or with Youth Against Settlements (YAS) which he is associated with. Last month, Fatah released a press statement urging civil society organizations in al-Khalil not to work with Amro or Youth Against Settlements and warning that those who do so would face retribution. Amro said that Jewish settlers in al-Khalil have increased their intimidation and incitement against him and members of Youth Against Settlements following the Fatah press statement. “The Palestinian authorities in the West Bank have a duty to ensure that human rights defenders such as Issa Amro are free to carry out their work without threat, intimidation, or abuse; failure to protect such activities and deliberate interference in their work is a flagrant violation of international law,” Higazi underscored.